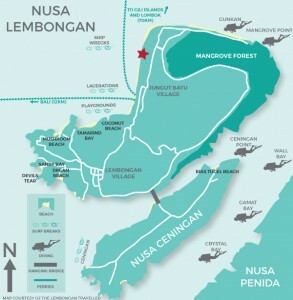 At Villa Pasir, you don’t go TO the beach, your are ON the beach. 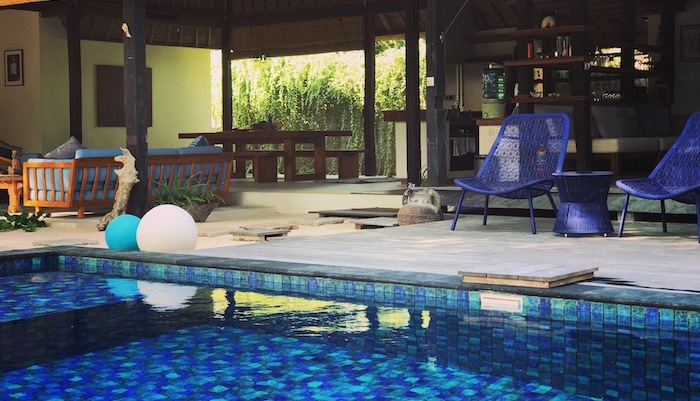 Right on Jungut Batu beach, overlooking the lagoon and the famous Shipwreck surf spot, Villa Pasir is simply the best beach house in Nusa Lembongan. 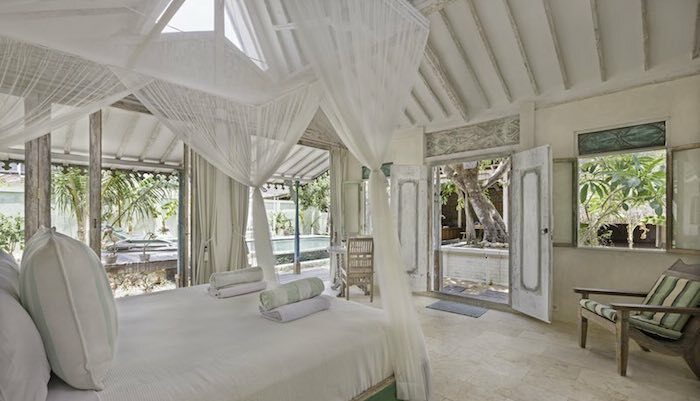 Exquisitely decorated in gipsy-chic style, Villa Pasir let you enjoy glorious sunsets EVERY evening. 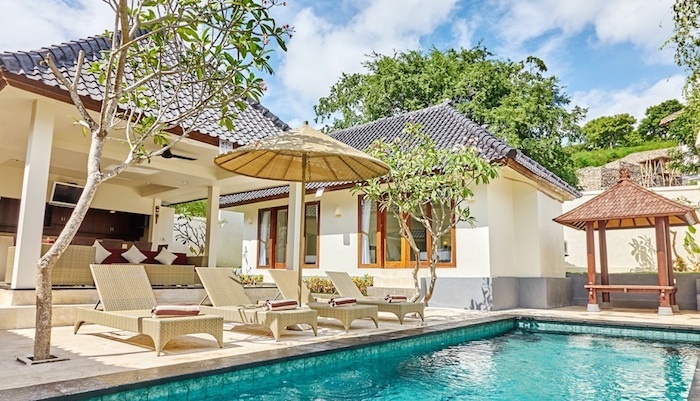 Villa Pasir consists of 2 bedrooms, each with its own bathroom and outdoor lounge area overlooking the water. One room with a super king size bed and sea views. The other room has a king size bed and couch with king single mattress that can be used as an extra bed. The room are spacious and beautifully decorated with recycled wood flooring and furniture. AC, fan, sound system, mini fridge and tea – coffee facility in each room. 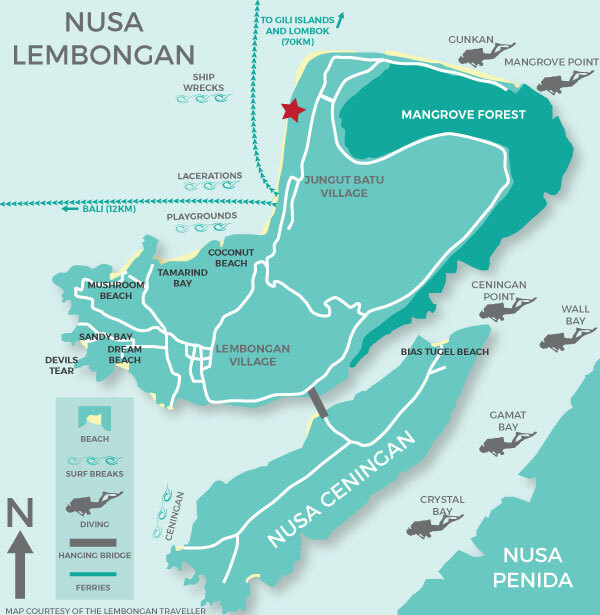 Villa Pasir is the only beach house of this standard on Jungut Batu beach. A kayak and a stand up paddle are available for our guest, complimentary of course. Casual Luxury right on the sand. Villa Pasir is located right on the beach…consists of 2 bedrooms, each with its own bathroom and an outdoor lounge area overlooking the water. The room is spacious and beautifully decorated with recycled wood flooring and furniture. A super king size bed, AC, fan, sound system, flat screen TV with DVD player, mini fridge and tea coffee facility. Located ON the beach. Breakfast is not included. A king size bed and couch with king single mattress that can be used as an extra bed.